Last year, I decided to do a blogging challenge for the month of April. I participated in the A to Z challenge with more than 1,500 other bloggers. My challenge focused on the a to z of agriculture and six days a week, I had a post go up on a word related to farming that started with that designated letter. It was hard and really wore me out a bit! The first of May I was waffling on whether I would ever do something like that again but it didn’t take long for me to decide that I should. Then the waffling was about picking a topic that I would find as interesting as I did agriculture! I toyed with a few ideas and settled on a series that would let me show a little love for my new hometown. It seemed especially well-timed since this year is St. Louis’ 250th birthday! In the two and a half years I’ve been in St. Louis, I have really found myself enjoying the city. Part of that is the fact I love baseball and it is a baseball city. Part of it is I have had the chance to show several family members around a new place and we found some great family favorites in St. Louis. But there is a lot for me to learn too so my hope is that by doing the A to Z series I’ll get new tips from St. Louis locals too! Restaurants, tourist venues, historical events and more are all being pulled together. Thanks to the St. Louis blogging community, I already have a lot of experts willing to help me with the project so I hope you all find yourself coming back to check in on things in St. Louis you may have missed or coming back to make sure your thoughts for must know things about St. Louis are included in the series! And unlike last year, I may do shorter posts but have more than one item featured on each letter! 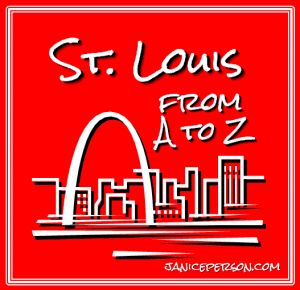 And I will link each of the posts through the St. Louis A to Z tag. So do you have a few “must be included” suggestions about St. Louis? As you ponder that question & think about a comment to help me cover my bases, I hope you enjoy this new video that will give you a glimpse at St. Louis. Thankful that I Have Two Great Cities to Call Home – Memphis and St. Louis! « Why is There So Much Buzz About Norman Borlaug?